Telling the stories of the unique individuals who make Upstate South Carolina the great place it is to live, work and visit. 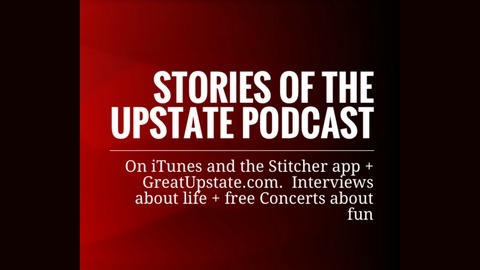 The Stories of the Upstate™ #358-R: (Brad Moore) "I've been accused of being too serious, but really and truly, I'm just a goofball." The Stories of the Upstate™ #357-R; (Kay Roper) "I'm a 4th generation Greenvillian." 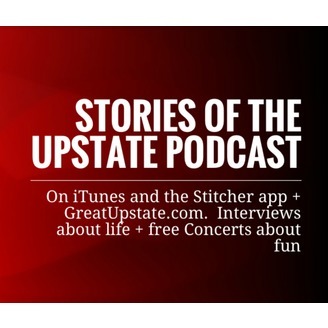 The Stories of the Upstate™ #356-R: (John Warner) " Growing up, we didn't have much, but we didn't know we didn't have much." The Stories of the Upstate™ #355-R: (Dean Hybl) "The county where I grew up still does not have a stop light."